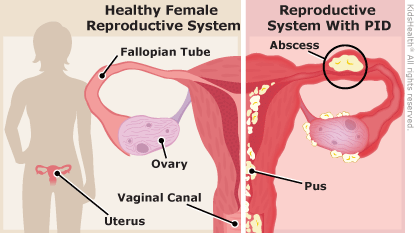 Pelvic inflammatory disease (PID): this is an infection of the upper genital tract in women. It can involve any/all of the following: uterus, fallopian tubes, ovaries, and can also involve neighboring pelvic organs. Given the infectious etiology of this condition, it can be caused by various means infection/by various organisms: fundamentally some exposure (be it sexual, an IUD placement, displacement of normal vaginal flora) is often associated with the development of PID. Sexually transmitted diseases (most common cause): Neisseria gonorrhoeae and Chlamydia trachomatis are the most common pathogens responsible for PID. Enteric bacteria: pathogens can include Escherichia coli, Bacteroides fragilis, Group B streptococci, and Campylobacter spp. and can be inoculated into the female genital tract. Respiratory pathogens: examples can include Haemophilus influenzae, Streptococcus pneumoniae, Group A streptococci, and Staphylococcus aureus can on occasion be inoculated into th genital tract. PID can result in endometritis, salpingitis, oophoritis, peritonitis, perihepatitis, and/or tubo-ovarian abscess. Whats more, this pattern of pathogen colonization/inflammation (which ultimately leads to damage and scarring of the associated tissues) can cause permanent infertility and also can predispose patients to ectopic pregnancy. STD infection, associated STD risk factors (multiple partners, no use of barrier contraceptives, risky sexual behavior). Vital signs may reveal the presence of a fever. Uterine tenderness can support the diagnosis. Inflammatory markers can be helpful in trying to establish if the etiology of the abdominal pain involves inflammation. A CBC, ESR, and CRP can be used (although a CBC may be one of the more common tests routinely ordered). Pregnancy test (beta-hCG) will likely be ordered on most all women who present with abdominal pain. Urinalysis likely will be done to rule out UTIs in patients. STD screening for Neisseria gonorrhoeae and Chlamydia trachomatis generally should be conducted in all patients with suspicions for PID. 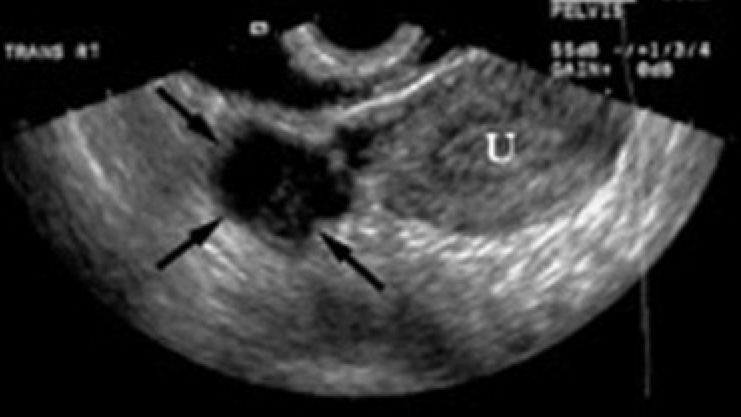 Transvaginal ultrasound can reveal the presence of pathology that might explain the patient’s abdominal pain. Abdominal CT scan can be a useful study in helping to rule out other possible causes of the patient’s presenting symptoms. While all of the above are not required for diagnosis (and each clinical scenario is different) in the absence of some of the findings above, it is worth evaluating if begging the treatment for PID is worthwhile. For example: not all female patients with unexplained diffuse abdominal pain should be treated for PID. Goal of treatment is to cover possible pathogens for infection: fundamentally there are multiple treatment regiments, but all aim to cover the likely pathogens that could be responsible for the PID. This of course requires gonococcal coverage and chlamydia coverage (given that co-infection with both of those organisms is common, and they are a common cause of PID). One oral/intramuscular regimen example recommended by the CDC: patients should take the following 3 medications to treat their PID. If patients are treated properly (see above) serious complications (seen below) can be avoided. If the combined treatment regiment is not prescribed the prognosis is not as favorable. Preventing the causal STD infection if the best way to prevent PID (usage of barrier contraceptives, limiting number of sexual partners, etc). Tubal factor infertility: permanent loss of fertility due to scarring/damage of important tissues. 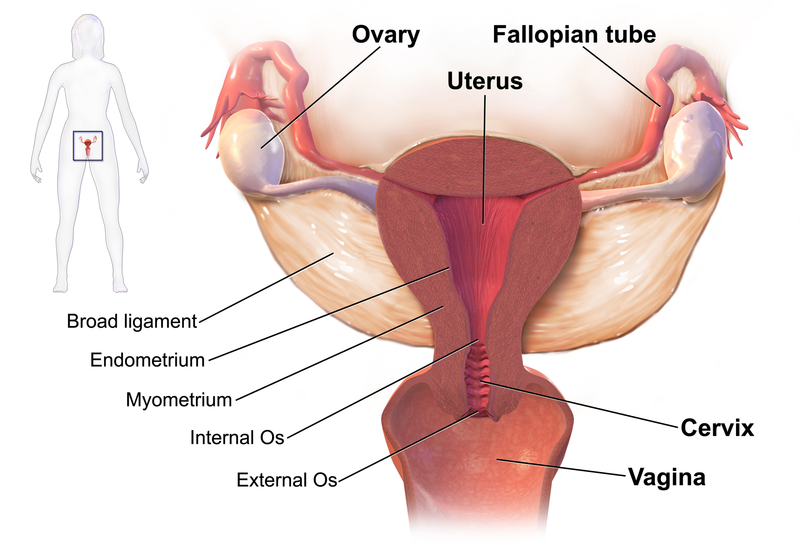 Ectopic pregnancy: a pregnancy where the fertilized egg implants outside the uterus (often times in the fallopian tube). Tubo-ovarian abscess: inflammatory mass that involves the fallopian tube, ovary and, occasionally, other adjacent pelvic organs. It is an encapsulated “pocket of pus” that can cause sepsis if it ruptures. Keep in mind while difficult to detect yourself a this point, with proper training this can be found easily using ultrasound. Fitz-Hugh–Curtis syndrome: PID can lead to this condition which is an infection of the liver capsule. Characteristic “violin string” adhesions can be seen on gross pathology between the liver and the peritoneum.